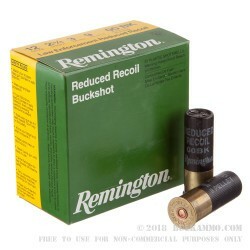 Reduced Recoil Buckshot L.E. 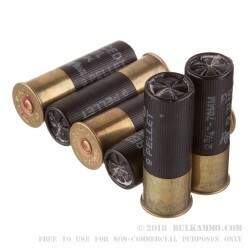 rounds that suffer no significant reduction in performance given the range of uses for buckshot. 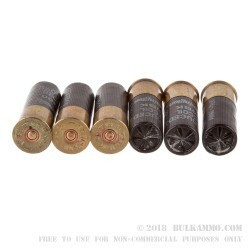 These are reduced recoil rounds in a 2 ¾” shell and are suitable for use in any 12 gauge shotgun with a smooth bore barrel. The price isn’t spectacularly low, but when you get the round out on the range, you realize the hidden value in the load. 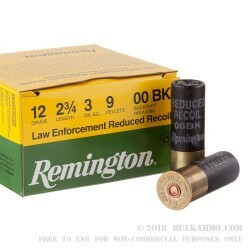 In the field, it gives you confidence for short range big game shots; in duty it gives you the consistent performance you need to keep the second and third shots on target. The wide pattern throws a lot of lead down range, but it isn’t so wide that the load is ineffective – instead it offers you a bit of flexibility in a tactical scenario.